Melissa Fazli made the accusation during the primary election, and stuck to her claims as recently as last month. However, she tweeted Monday morning that she had met with Cisneros and he had changed her mind about what happened. Had a sit down meeting w/ @GilCisnerosCA facilitated by @Mjadvice last night and I’m so relieved that it was a HUGE misunderstanding. 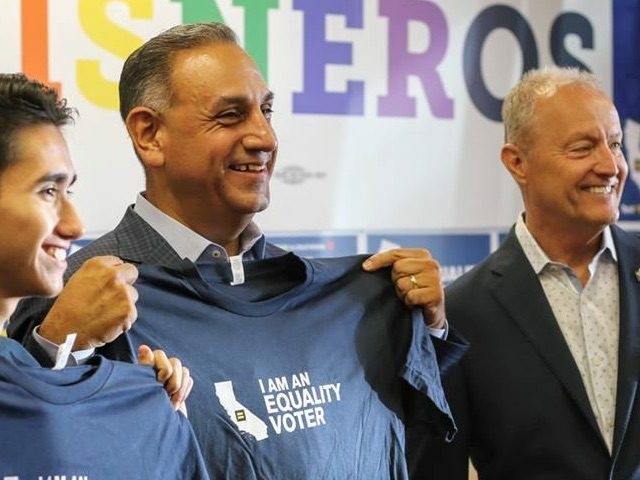 Cisneros is the Democrats’ candidate in one of the seven California districts the party is targeting because voters chose Hillary Clinton in 2016 despite re-electing Republicans to those seats. House Minority Leader Nancy Pelosi (D-CA) plans to run for Speaker of the House if Democrats prevail in the November midterm elections. A recent poll showed Republican Young Kim — a former state assemblywoman from the area — with a significant lead on Cisneros.